At Visual Care Associates, we specialize in understanding how the human eye really works, as well being able to identify diseases and conditions that affect your vision – many of which do not have obvious symptoms. Your eye doctor near you knows how age and risk factors affect vision over time for young and old, and they understand the benefits and features of corrective lenses including eyeglasses and contacts. Our Columbus optometrist takes the time to explain the results of your eye exam, describe your options and listen to your eye care needs. Because maintaining good eye health is an ongoing partnership, we encourage you to ask questions and share your health information, which could be vital to monitoring, diagnosing and treating potential vision problems. Dr. Bickel did his undergraduate work at The Ohio State University, where he received a Bachelor of Science Degree in Physiological Optics (Vision Science) in 1980. He graduated with a Doctor of Optometry Degree from The Ohio State University College of Optometry in 1982 and a Master of Science Degree in Physiological Optics from The Ohio State University Graduate School in 1990. Subsequently, he earned a Master of Business Administration Degree from the University of Notre Dame in 1997. 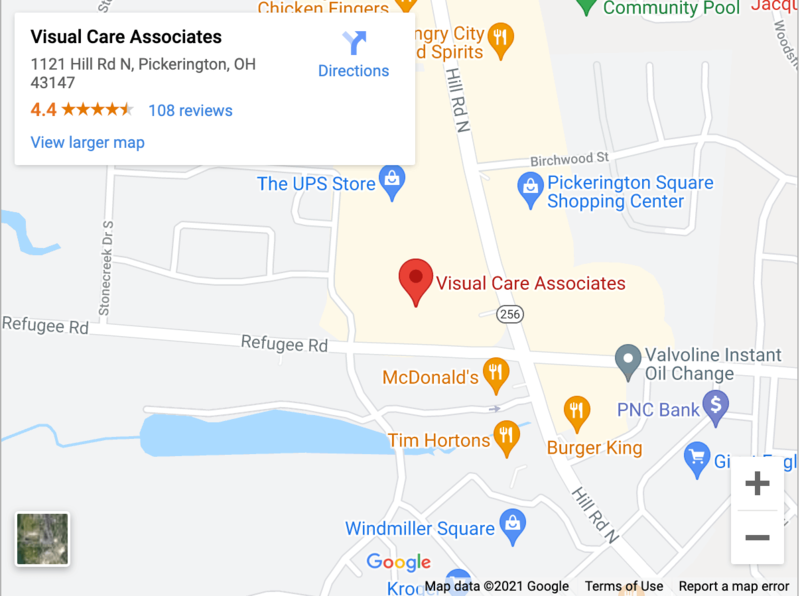 Dr. Bickel acquired the Visual Care Associates practice in 2008. He has practiced as a Clinical Instructor at the Southern California College of Optometry and The Ohio State University College of Optometry, as well as served as a consultant optometrist in the Columbus Veterans Administration (VA) Clinic. Dr. Bickel has worked in several private practice settings in Central Ohio. He is licensed to use therapeutic pharmaceutical in agents in Ohio and has passed the National Board of Examiners in Optometry test on the Treatment and Management of Ocular Disease. Dr. Bickel is a Fellow of the American Academy of Optometry (F.A.A.O) and a Diplomate in the Cornea, Contact Lenses and Refractive Technologies Section. He is a member of the Central Ohio Optometric Association, the Ohio Optometric Association and the American Optometric Association.